Like Ferris Bueller said, “Life moves pretty fast. If you don’t stop and look around once in a while, you might miss it.” As I enter my last week of school, everything is moving fast and every day is full of endless to-do’s to wrap up the year. There is a whirl of assemblies and paperwork and packing and cleaning. With temperatures rising, along with excitement about summer, it is easy to lose focus and purpose. In the beginning of the year, one of my most important goals was to develop a classroom community where we know each other, respect each other and feel safe to learn and grow together. As the year draws to a close, I want my students to celebrate the community we’ve become. Writing is the perfect way to do that. Today I want to share with you some ways I’ve used writing to make the end of the year meaningful for my students. 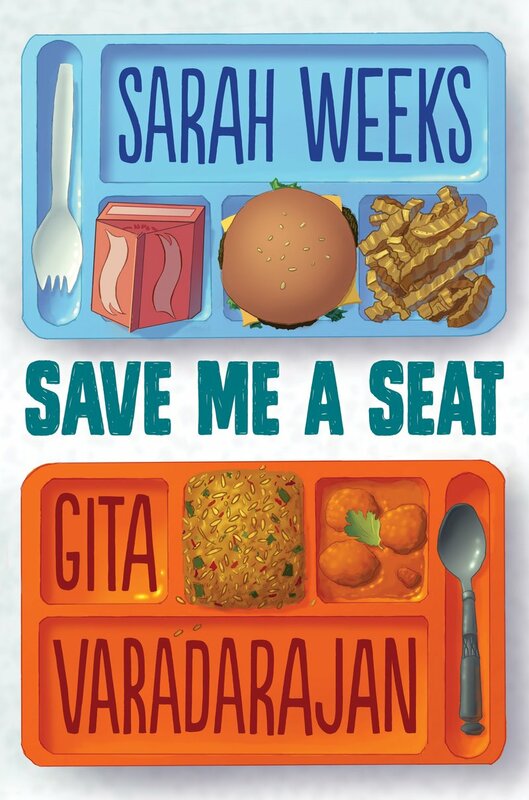 I recently finished reading aloud Save Me a Seat, by Sarah Weeks and Gita Varadarajan. It was the perfect book to follow our Social Issues Book Clubs which we worked on in Reading Workshop this spring. Save Me a Seat tackles issues of bullying, being a bystander, poverty, disabilities, cultural differences, family issues and more. In the book, the teacher asks the students to bring in an object that represents themselves. Students are also asked to write a sentence that describes themselves without writing their name. All of the sentences go in a bin and students have to try to decide the sentence that matches the right person. Last Friday, my students and I brought in our objects and our sentences. First, we did a gallery walk of all the objects. There were trophies, award ribbons, personal creations, baseballs, a dictionary, and more. I brought in a box of inspiring quotes a friend gave me. My sentence was “I love words- reading them, writing them, and being inspired by them.” One student shared “I wish to have my own bakery someday” and her object was a plastic piece of cake. Students knew right away who she was! Others were harder to guess. This was a lovely way to incorporate reflective sentence writing with community building. After a year of being in class together, how well did students know each other’s hopes and dreams? In Save Me a Seat, the teacher has students do this during the first week of school. I think it can be done at anytime to build community and understanding of each other’s passions. 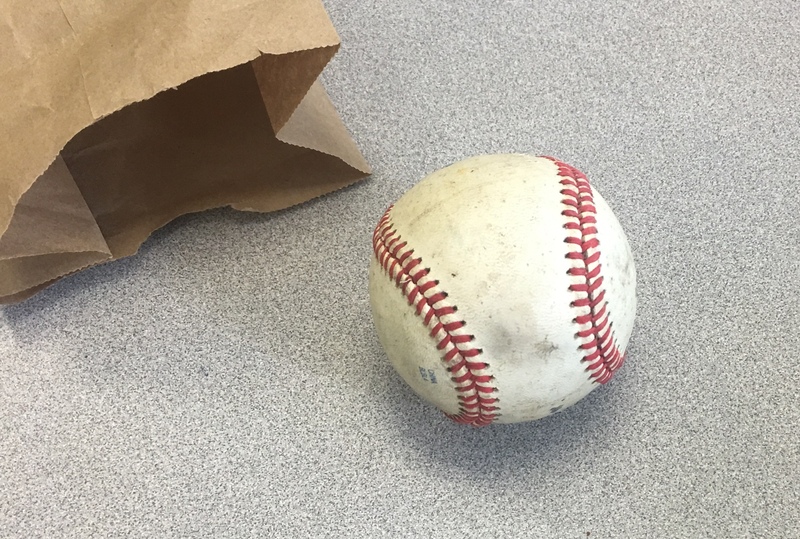 One student brought in the game winning ball he received as the object that represents himself. My students really enjoy Kahoot! It’s like a quiz game you can personalize to whatever subject matter you are teaching and reviewing. For our last Kahoot, I thought it would be fun for each student to write a multiple choice question about himself or herself. Students had to think of a question and come up with four possible answers, starring the right answer. I took all their questions and typed them up in Kahoot. This is another way to celebrate each child, while also giving them an opportunity to generate a question and answers. Some of the questions were about students’ favorite ice cream flavors, teams, and hobbies. This year, my class kept Family Dialogue Journals. Our last entry was an opportunity to reflect on what students are proud of from this year and also to name three items on their “Summer Bucket List.” My students wrote their letters last week and we are awaiting family members’ replies. I’m hoping that family members will be able to celebrate the accomplishments made this year and also have the opportunity to see what the children hope to do this summer. I plan to write a final letter to the families, asking them to consider keeping the journal going at home, writing back and forth to each other now and then. Writing can open up conversations that might feel too difficult to start. Students will make a thank you card for our lunch assistant who helped our class all year long at lunch and recess. I will invite students to make thank you cards for other school personnel- such as our principals, custodians, nurses, etc. We have also been making birthday letters for all the children who have summer birthdays. 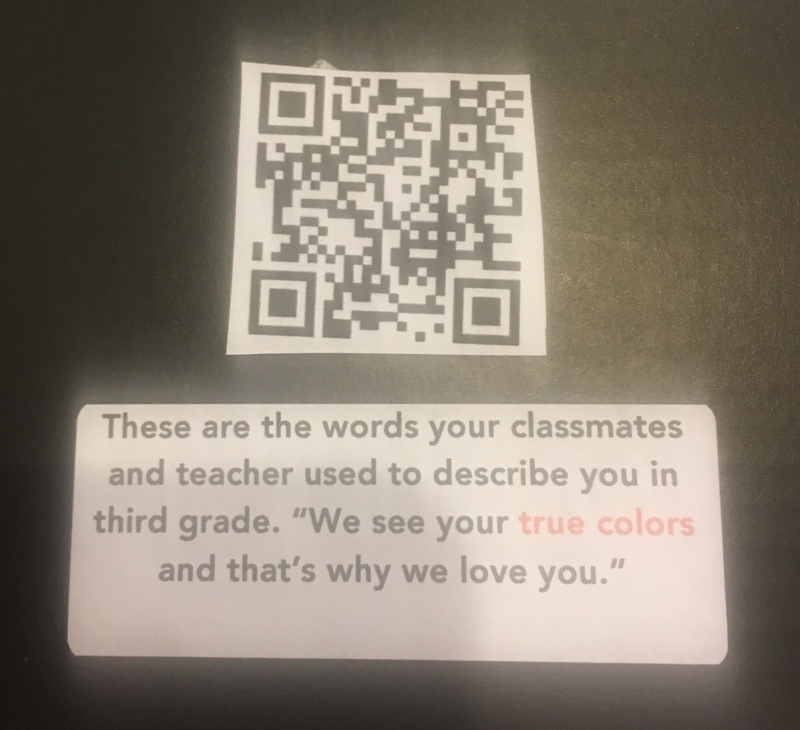 To inspire students to keep writing going all summer long, I grabbed new notebooks from our school supply closet and printed out my QR code writing prompts, which you can find in this post. 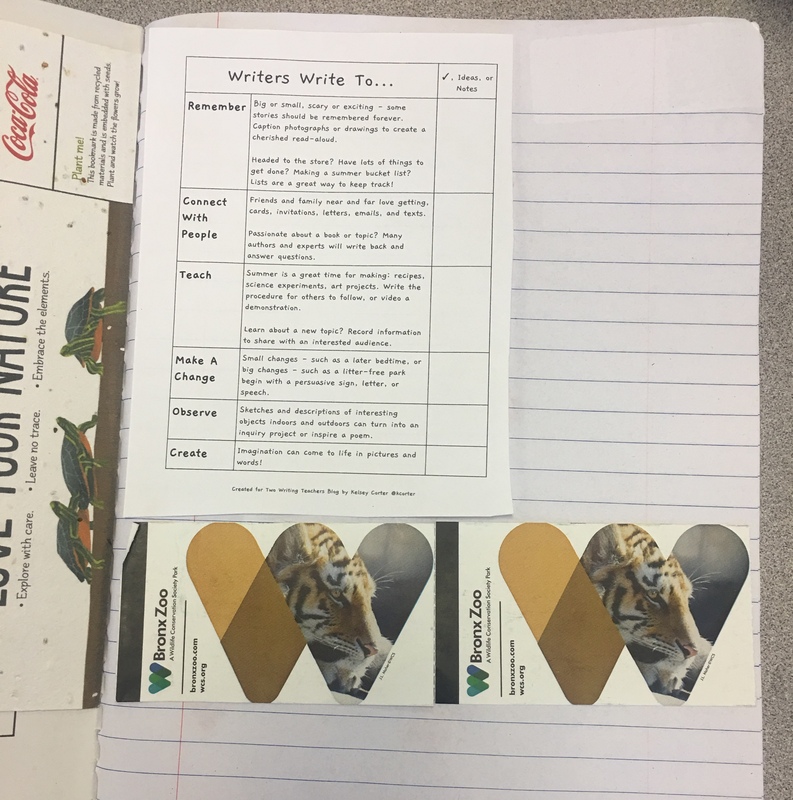 Kelsey Corter recently wrote a post about authentic reasons to write this summer and I plan to use the tool she created with the notebooks, putting it in the front of each child’s notebook. We used magazines in the classroom to cut out pictures to decorate our summer notebooks, as well as extra stickers I had. This year, I plan to make a Padlet for students to share their summer writing- pictures from their notebooks or anything else they want to add. We used the writing tool, created by Kelsey Corter, to remind ourselves of all the reasons to write this summer. In my school, students have literacy portfolios that travel from grade to grade. Each year, students are asked to write a letter to their new teacher, sharing some of their accomplishments. I also like to ask students to tell their new teacher something they wish he/she would know about them. Last year, when I received my letters from my new third graders, I made notes about students’ interests and abilities and also wrote each child back. This week, we will take time to compose our letters to next year’s teachers. Words matter. What we think and say about ourselves is so powerful, influencing the choices we make. I want my students to believe in all their special qualities. My final gift to them is a new book I bought for them, as well as a framed word cloud. I asked each student in the class to write a kind and true word next to all the other students’ names. Then, I compiled the list of words for each student and used the website WordCloud to generate a unique picture for each student. 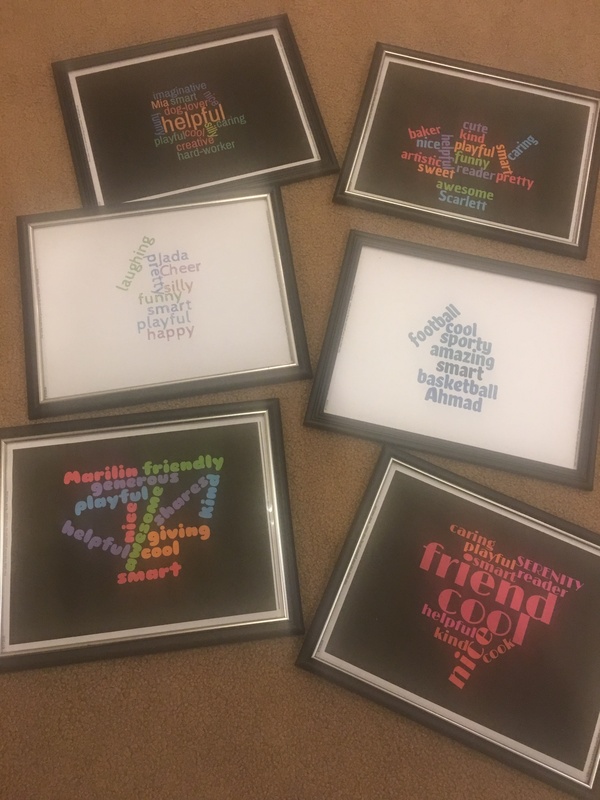 Frames from the Dollar Tree were used to make the word cloud feel more important and lasting. I attached a label on the back of the frame that says, “These are the words your classmates and teacher used to describe you in 2018. We see your true colors and that’s why we love you!” I added the QR code to the video “True Colors” on the back of the frame. This was placed on the back of the framed word cloud. I hope these activities inspire my students to see writing as meaningful and important in their lives. I hope, too, that these activities brings a sense of closure and happiness about the year we just spent together. Seeds of love, optimism and kindness have been planted this year. As I say goodbye to my third graders, it is my fondest hope those seeds will take root… and my students bloom and blossom as writers and curious learners throughout their lives. Hi Lisa! Thank you so much for your comment. The QR code generator I use is a chrome extension called Quick QR Code Generator. When I use Google Chrome, it sits at the top right hand of my browser and with a click of a button, any site I’m on has a QR code. I think there are several different ones you can use but this one has worked for me! I’m the happiest in the classroom when my focus is on the whole student and not just the scores or assessments. Years ago, I felt I lost my way as a teacher when student scores were tied to teacher evaluations and I felt desperate for my kindergarten students to rattle off letters fast enough to meet the benchmark. At some point I realized, this is NOT why I became a teacher! Anyway- I appreciate your comment so much. I love Kelsey Corter’s writing tool that is pictured on this post. Is there a way of downloading that document? Thank you for the wonderful ideas that have my brain humming. Yes! I love Kelsey’s tool as well. I linked to it in the post and you should be able to download it or print from the site. Loved all the ideas. Thanks for sharing, have a wonderful summer! Thank you! Today is my last day of school then onto summer! Wishing you a wonderful one as well. Great post- full of great ideas. I loved the Word Clouds! I’m definitely using and passing along some of your ideas! Thank you! Thank you Beth! Please pass on the post to anyone who you think would enjoy the ideas. Have a great summer! Wonderful, thoughtful activities that honor each individual student. Love the framed word cloud idea. Your students will keep that forever. Such a thoughtful and powerful way to begin, build and end the school year! Such good work that takes a lot of muscle but the beauty and meaning of words comes through in your blog post. Here’s to celebrating your students and your incredible work as a teacher. Thanks for sharing and reflecting! Kathleen, thank you for sharing these ideas. I recently started reading Be the Change and these are resonating with the work of examining our own and each other’s identities and honoring them. What lovely ways to celebrate seeing and knowing one another. Oh I’m so glad to hear that! I bought Be the Change to participate in #CyberPD and I’m looking forward to reading it once summer vacation starts for me….later today! I appreciate your comment so much. Pairing writing with community building and positive mindset activities is truly genius. So many wonderful ideas here I I’ll sharing with my community. I really like the creativity and relevance in these ideas. I agree with you, they can be used anytime during the year. I also think they can be revisited as well. Thank you for sharing. Hi Tracy! Thanks! Yes, I think some of these activities would be fun to do earlier in the year and then revisit them at the end of the year to see how things have changed for students and how much better we know each other. My students especially loved playing Kahoot this week!